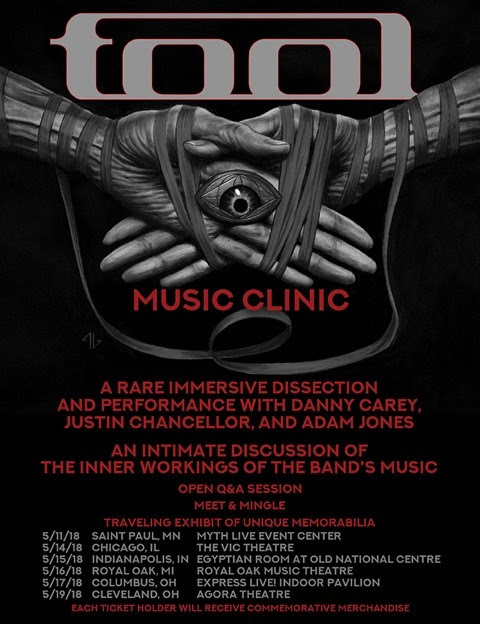 In a very interesting move it was announced that in May Tool is going to allow a behind the scenes look via a series of intimate music clinics. 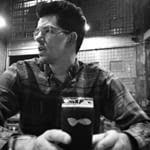 Danny Carey, Justin Chancellor, and Adam Jones will answer questions that entail how a TOOL song comes to be, from the process of writing them to playing them live. Attendees will also be able to mingle with the band following the session. The 500$ ticket will get you commemorative merchandise, exclusive to the series of events and limited to the number of people in attendance. There will also be traveling memorabilia throughout the bands history that attendees will be able to view. Tickets are on-sale this Friday, April 13 at 10 am local time. A limited number of tickets have been set aside for Tool Army members, which will be available on Wednesday, April 11 at 10 am pacific via the band’s webstore, here. Dates can be seen below.